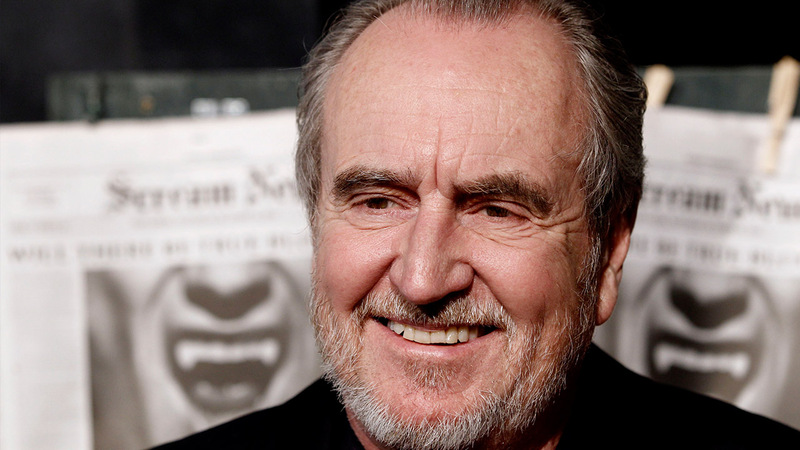 Horror maestro Wes Craven passed away on Sunday, August 30 at the age of 76, leaving behind an impressive legacy of scary flicks that continue to mold and influence the genre today. Portrait of Robert Englund as 'Freddy Krueger' of the 'A Nightmare on Elm Street' series of movies. Craven slashed his way through the silver screen and into audiences' nightmares with this terrifying and bloody thriller. 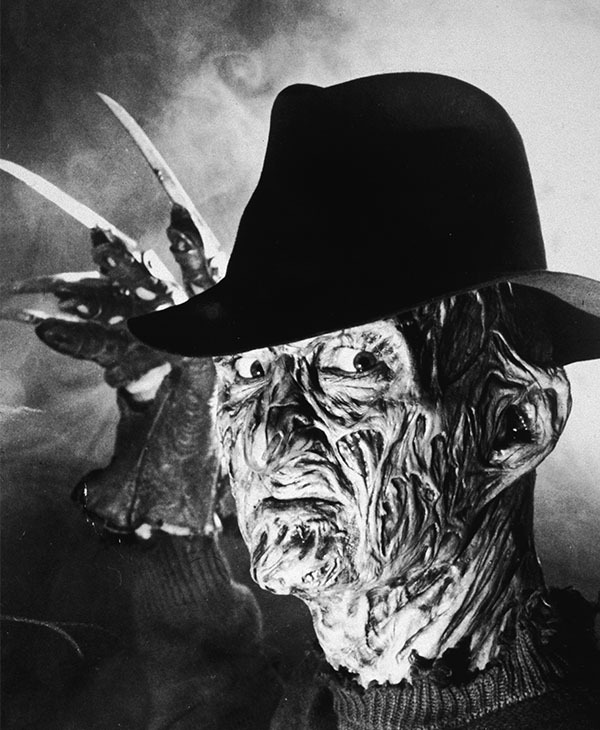 Released in 1984, A Nightmare on Elm Street has only grown in popularity over the decades. Craven's menacing Freddy Krueger even made the ranks among Darth Vader and Hannibal Lecter on American Film Institute's "100 Greatest Heroes and Villains" list. While many horror movies scare audiences for a brief moment, A Nightmare on Elm Street was one of the first that made moviegoers fear for their lives long after the credits had closed. This horror staple of the 1990s proved that Craven still had the ability to scare new audiences across the decades. Featuring a who's-who cast of '90s stars like Neve Campbell, Courteney Cox, David Arquette and Drew Barrymore, Scream was more than just a scary movie but a pop culture phenomena, birthing three popular sequels and a sharp commentary on the film genre lying underneath its ghostly mask. Totally engrossing and sometimes just plain gross, this cult-classic remains a favorite among horror fans while showing off Craven's knack for terrifyingly creative storytelling. 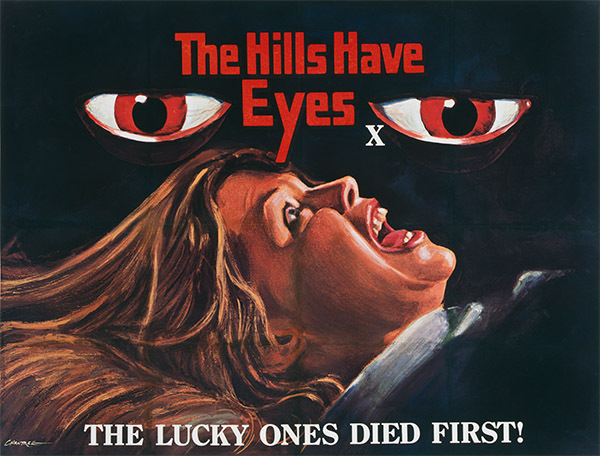 The Hills Have Eyes was one of Craven's earlier films, and showed that director also had a penchant for strong social commentary. It's been nearly 40 years since The Hills Have Eyes was released, but audiences still can't drive through the desert without fearing of mutant attacks. 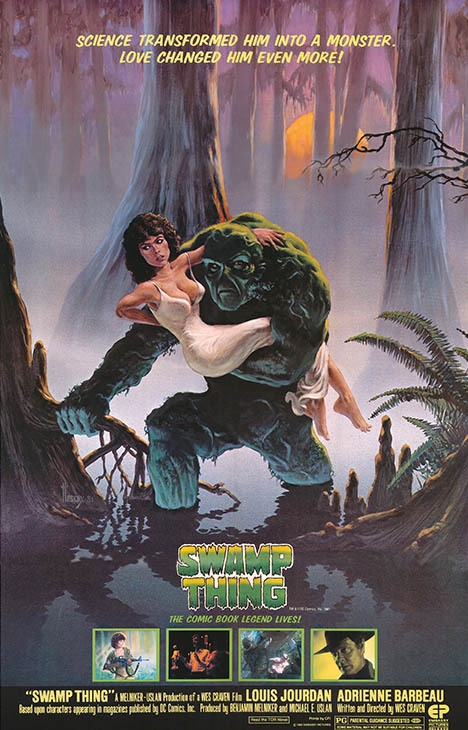 A poster for Wes Craven's 1982 science fiction film 'Swamp Thing', featuring Adrienne Barbeau. One of the earliest entries in the "so-bad-it's-good" horror movie genre, Swamp Thing was a bold and campy adaptation of the DC Comics series, with scientist Ray Wise being transformed into the gooey, green swamp creature that made some audiences scream and others laugh out of their chairs. Swamp Thing may not make audiences cower in fear as much as his A Nightmare on Elm Street series, but Craven's 1982 staple remains necessary viewing for any fans of the genre. Air travel is often an unpleasant experience, but Craven showed in this 2005 thriller that it can be very deadly. Starring Rachel McAdams as a female passenger on a flight who is kidnapped midair by Cillian Murphy's malevolent terrorist, Red Eye was taut and meticulous, an unexpected horror treat in 2005 that left audiences requesting the afternoon flight instead.